Home > News > Is Your Home Trying To Kill You? 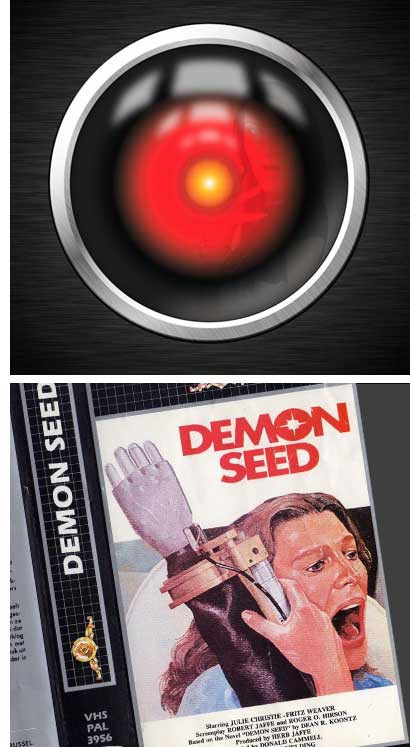 If you’re old enough to remember the 1977 sci-fi horror movie Demon Seed, you’ll know it was about an artificially intelligent super-computer taking revenge on its creator – who was trying to shut the thing down – by imprisoning his wife in their fully-automated fortress of a smart home. The machine – Proteus – then behaves in a vicious and lethal fashion to many and sundry thereafter: callers to the house, creator and wife alike. It's an OK-ish film (it gets 67% on Rotten Tomatoes, which counts as 'worth a look' in our house), but it’s most notable for its prescient insight into of our fears about smart technology and the rise of the machine. And with the advent of 'the Internet of things', smart buildings are now with us and that fear of ‘smart’ technology hasn't gone away. For instance, modern commercial buildings increasingly deploy monitors and sensors to assess building occupation and use, to better save space and energy; depending on occupation patterns. And a new report Activate to Collaborate: The Evolution of the Smart Office - reveals how far that technology has come. The problem arises in that, while the intent of that technology deployment is supposedly benign, workers fear that it is more about controlling personnel and tracking them than it is about turning the lights on and off. Indeed, the Daily Telegraph installed desk and floor monitors in its buildings, for energy and space management purposes; but was forced to remove them in a matter of days when employees rebelled against what they saw as an unwarranted and unnecessary intrusion into their privacy. The same advantages and concerns extend into the home. The most common iteration of this technology is in terms of smart meters and smart controls used to manage heating and, to a lesser extent, lighting and other domestic building management systems (e.g. the hi-if). The benefits of adopting ‘smart stat’ technology are clear: the best of them act both like a personal energy adviser – by showing the best ways to optimise heating usage – and as a tariff consultant, advising on the best energy deals. Usage advice could lead to savings of hundreds of pounds on an average bill. Furthermore, once installed, they can look at energy suppliers and report back on what could be saved through switching supplier. This could save many hundreds of pounds further. But, of course, the paranoid among us wearing Bacofoil hats will also worry what else such devices may be doing, especially when networked to home wifi? Just because Google-owned Nest isn't monitoring you and your home with its smart control now, who’s to say that it couldn't or won't at some unspecified point in the future. And yet and yet, these things are great, add great convenience and can save you significant amounts of money. So what to do then? Well: one place to start is with Eurocell. We stock a range of controls from independent UK company Warmup. Not only is it not affiliated to any global conglomerate – like Google (Nest) - it is also not vested in any given utility company (Hive = British Gas, etc). Take the market leading Warmup 4iE. To meet the need for usability and convenience, the 4iE smart wifi thermostat does not require programming. Instead of the user having to study a manual to operate the thermostat, it works with the homeowner’s smartphone to ensure that the home is always at the temperature required just as they arrive, and sets more efficient temperatures when they are away. The 4iE can be specified with the confidence of knowing it is compatible with most heating systems: combi and system boilers and underfloor heating, electric and plumbed. Just one thing though: if your central heating thermostat starts criticising your friends, comments on your weight or offers tips on your fashion sense, kill it. Kill it quick. And get out of the house, now.